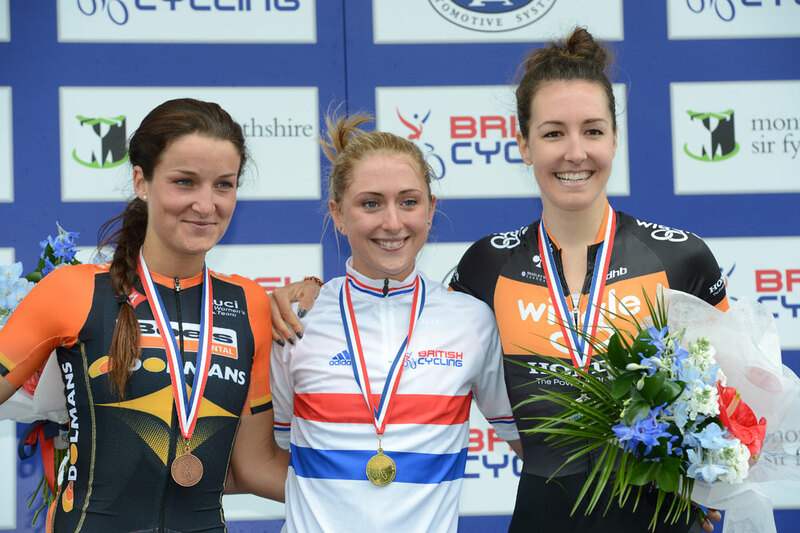 Laura Trott (Matrix Fitness) and Peter Kennaugh’s (Sky) year-long stints in the British champion’s jersey comes to an end this weekend, with the 2015 British Road Race National Championships taking place this Sunday (June 28) in Lincoln. Some of the nation’s biggest stars will be taking part, all hoping to achieve the honour of wearing the white British jersey for the next 12 months. Depending on who wins, we could see the jersey on our television screens as early as July, with several potential winners of this weekend’s races also set to ride the Tour de France (in the case of the men) and La Course (in the case of the women). While those races are lauded for attracting the very best riders in the world, the British national championships road race is a fascinating contest at a more intimate level, as the many national stars who have made huge names for themselves with performances across Europe return to home roads, and to race head-to-head against the best the local domestic scene has to offer. 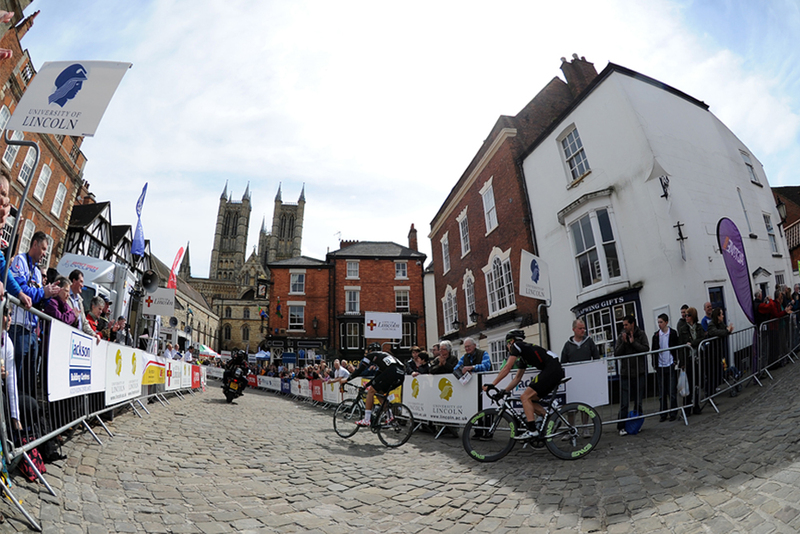 The route itself will be familiar to many on the domestic scene, as many of the same roads tackled in the Lincoln Grand Prix are set to be used. After completing an opening 45-kilometre circuit north of Lincoln (one lap for the women and two for the men), the riders will head towards the 13-kilometres circuit in the centre of Lincoln that will decide the race, with the women completing four and half laps and the men eight and a half. This circuit is well-balanced, with the cobbled Michaelgate climb providing a potential launchpad for attacks. Located in a picturesque position almost equidistant to Lincoln’s cathedral and castle and very close to the finish, the climb may be very short at just 300 metres, but has a steep enough average gradient (10 per cent) to cause some serious pain on the final few laps. One rider who would relish such a difficult climb as Michaelgate, Lizzie Armitstead (Boels Dolmans), is currently racing against time to recover from the nasty crash suffered at the Women’s Tour last week. Should she make it in time she’d probably line-up as favourite to add to her 2011 and 2013 victories. One thing counting against Armitstead will be the absence of any domestiques, with neither of her British Boels Dolman teammates set to take part. Defending champion Laura Trott, by contrast, may have wished for a less selective course, but will possess six Matrix Fitness domestiques at her disposal to protect her. Among the other favourites are Danielle King (Wiggle-Honda), who finished second in 2013 and third in 2014; Sharon Laws (Bigla Pro Cycling), who won in 2012; and Hannah Barnes (UnitedHealthCare), who won the final stage of the Women’s Tour. In the men’s race, as ever the strongest team will by Sky, who possess an embarrassment of riches in their roster. 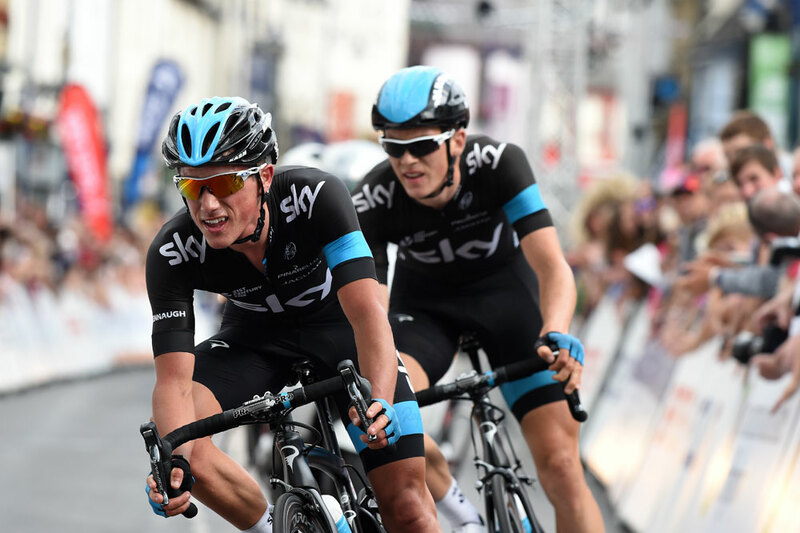 There’s defending champion Peter Kennaugh, who came into good form and won a stage at the Dauphine recently; Ian Stannard, who won in 2012 but is likely to be used as a domestique this time round; and Luke Rowe, who starred in the classics last spring and who could, with Stannard, exercise a vice like grip on the race if used as a domestique for Kennaugh. 2013 champion Mark Cavendish is unlikely to see the race boil down to a sprint, with no Etixx-QuickStep teammates to control matters and with all the other teams unwilling to bring him to the finish. But the prodigiously talented Simon Yates (Orica-GreenEdge) is likely to give Sky more of a headache, with his twin brother Adam by his side to help him out, and climbing form that everyone in the race will struggle to match.